Spice up your culinary skills with this six hour masterclass in authentic Indian cooking, led by professional chefs. Awaken your senses and explore the fundamentals of Indian cookery during this full day beginners’ course. Prepare a variety of aromatic dishes – using only the best, ethically-sourced ingredients – and take home everything you make! Your lesson takes place in a top cookery school, dedicated to providing a high standard of teaching, in a home-from-home kitchen environment. Each accessible course emphasises the nutritional value of ingredients, whilst offering hands-on guidance and tips for truly delicious results. Throughout the day, you’ll learn to follow several authentic Indian recipes – including chilli chicken kebabs, lamb samosas, vegetable dishes, versatile dressings and marinades. You’ll master the delicate balance of proper spice blending, and discover new techniques to repeat – and build upon – at home. Vegetarian options are available by prior arrangement, and your freshly-made lunch includes a complimentary wine, beer or soft drink. Not only will you leave with a tasty Tupperware feast – you’ll also have gained the skills to give the local takeaway a run for its money in future! 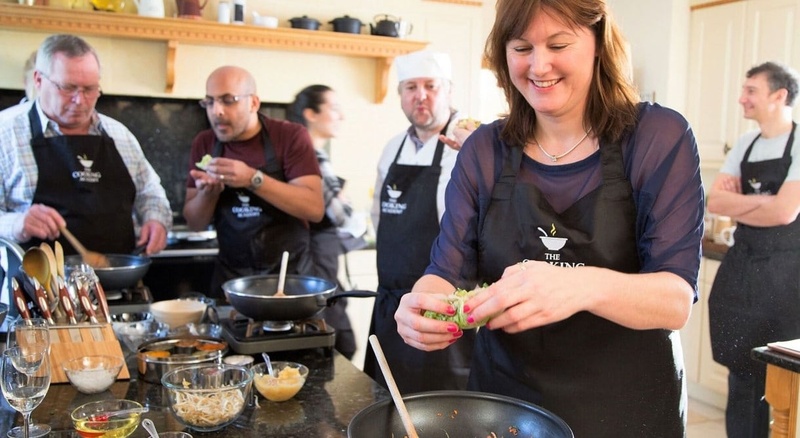 The Full Day Indian Cookery Course, in Hertfordshire, is suitable for novice cooks and aspiring master-chefs alike. An Experience Days voucher makes an ideal gift for your favourite spice-lover. This experience is available on selected days throughout the year (subject to availability). The minimum age for this experience is 11. This is a six hour cookery class. Participants: The Full Day Indian Cookery Course Hertfordshire is for 1 participant. This experience is for individuals or small groups. Please enquire if you have any queries regarding group size. All equipment will be provided on the day, this also includes refreshments and lunch. This is an indoor experience and should not be affected by bad weather.